CARFAX AVAILABLE NO ACCIDENTS!!!!! 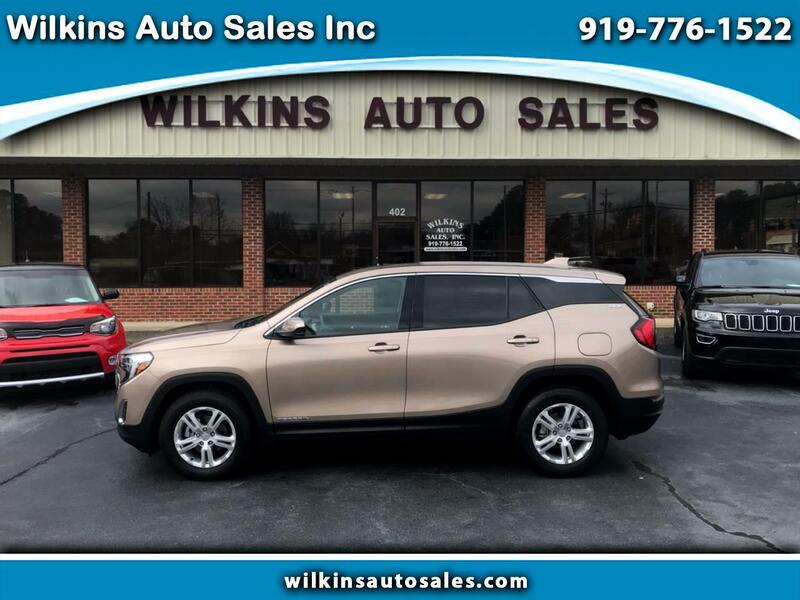 Here's a 2018 GMC Terrain SLE with 13,000 miles for only 21,995.00. This Terrain is loaded with options, here are just a few, keyless entry, back up camera, alloy wheels, smart key, on star is available, usb port and auxiliary plug, push button start and stop and much more!!!!! COME BY AND SEE RUSS OR JEFF TODAY OR CALL US @ 919-776-1522!!!! !